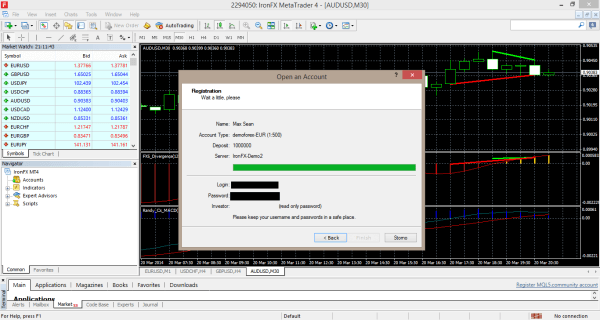 Home » Articles » Part 2: Meta Trader 4 Show – How to install the MT4? 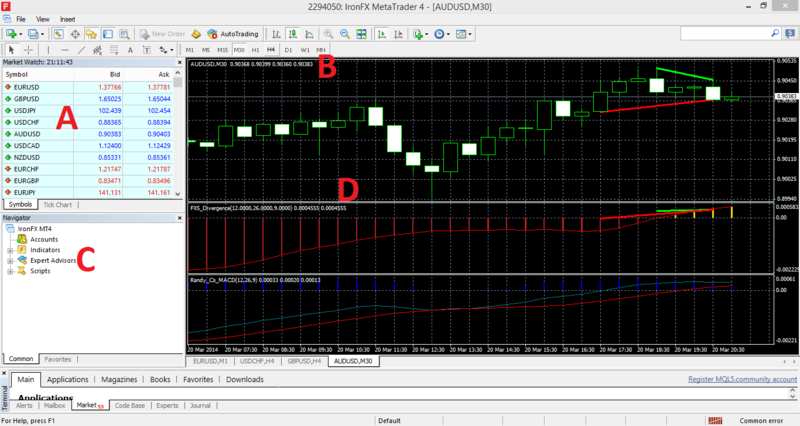 Welcome to the second part of our show about the program Meta Trader 4. If you do not know what that is, I suggest you first read this article. You can download Meta Trader 4 for free directly from our site, if you have not done so already, here is the link. You can download it for example here. After downloading the, software must be installed. Double-click on the icon of the file you have just download and go through the instalation process. Then, open the folder where the program was installed and launch the program by double-clicking on the file Terminal.exe. To be able to start using MT4, you need to create an account first. We do this immidiately after the first run (of the program). Our data appears. Copy them for future use! After clicking on finish and the program will log you in automatically. In the next episode i will show you how to add simplest indicators and strategies into the program and we will also start trading.